WaldaBlog: Things Are Heating Up in Time for the 2014 Season! Things Are Heating Up in Time for the 2014 Season! Sunday would have been Water World weather when we reached the high 70s! What a perfect Saturday afternoon to be in the park! 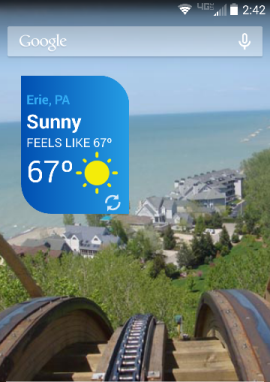 Well, almost perfect since Waldameer and Water World is not quite ready to open yet, but we are making excellent progress with this beautiful warm weather. We couldn't ask for a better work day in April at 67 degrees. This week we found some more new projects and preparations. 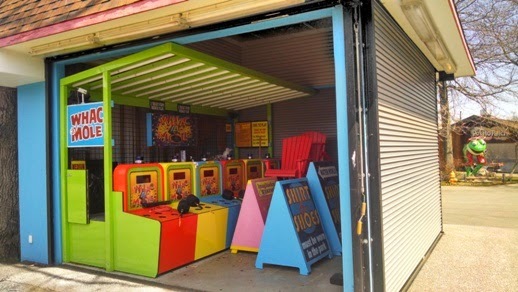 Sky Ride was slowly turning to warm up for all 33 cars to be reattached, the Midway Games Team is hard at work sorting new prizes and tuning up each game, and our reliable Maintenance Team was busy painting, changing light bulbs, and twisting nuts and bolts as more rides came back to life. Also, yet another park improvement construction project got underway to provide some relief when the weather doesn't cooperate. Let's take our weekly walk in the park to check it all out! 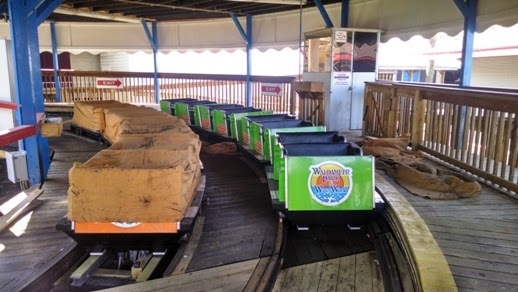 Comet is the first of our coasters to be assembled for Summer. 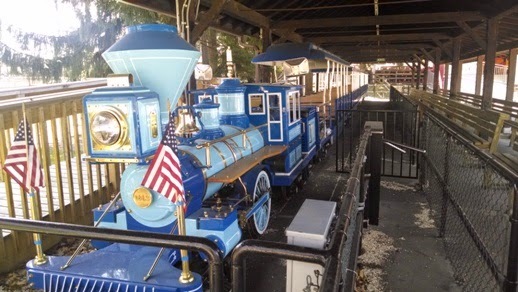 All L. Ruth Express needs is a conductor and some passengers. All 20 Gondolas are unwrapped and ready for riders. Flying Swings is ready for flight clearance and Wendy's Tea Party just needs some visitors for Tea Time. SS Wally isn't too far behind. How do we prepare Sky Ride? Simply put: inspect every inch of cable, run the ride without the cars for a long time to "warm it up," and hopefully this week we can start adding all 33 cars. But we still aren't quite there yet! 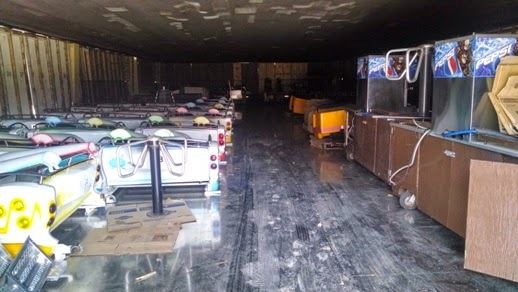 Dodgem is still packed with "visitors" waiting to come out to enjoy the warm weather. Keeping in mind the old saying, "April Showers Bring May Flowers,﻿" we have yet another mini construction project ongoing. Unfortunately, sometimes the April showers follow us on a few occasions throughout the summer. In order to provide more comfort to our guests when the occasional rain shower occurs, we decided we needed to better control the water running off our buildings. Let's take a look! Until next time, enjoy the warmer weather!